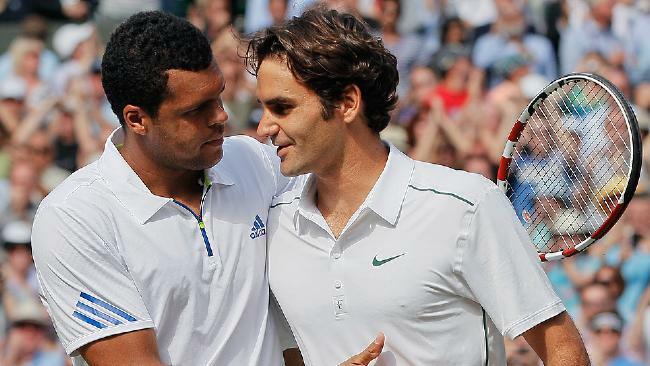 WIMBLEDON: Best 2 Players, Best Court, Best Moment. Who’s Real No. 1? Novak Djokovic or Rafael Nadal? Rafael Nadal vs. Novak Djokovic. The best two players on the best court in the best moment. For tennis, The New Rivalry gets its big day Sunday in the Wimbledon final. Sure, Nadal already beat Djokovic in the U.S. Open final in September, and that will count when people tally up this rivalry years later. But Djokovic wasn’t at Nadal’s level yet. He still might not be, to be honest, but here’s his chance. This moment could be to Djokovic what Nadal’s classic win over Federer in the 2008 Wimbledon final meant to him. On the other hand, if Nadal wins, he will be the champ of five of the past six majors, and on one of the most dominant runs in tennis history. Amazing how one match can change things so much. How perfect that it will happen at Centre Court, Wimbledon. It is the ideal way to build interest in the game, too, among Average Joe sports fans who aren’t into tennis otherwise. Both players won their semifinal matches Friday. 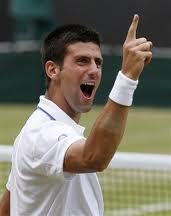 Djokovic beat Jo-Wilfried Tsonga 7-6 (7-4), 6-2, 6-7 (11-9), 6-3, and Nadal beat Andy Murray 5-7, 6-2, 6-2, 6-4. Whoever wins Sunday is the best player in the world, even though Djokovic will move to No. 1 no matter what. That’s right, even if No. 1 Nadal beats No. 2 Djokovic, the next day the rankings will read 1 Djokovic, 2 Nadal. He just stood there and let it happen to him. That’s what was so disturbing. He let himself be pushed around. He dumped shots into the bottom of the net. Did Roger Federer just give up? Yes, he did. He was beaten into it, but this was his “No Mas” moment. He blew a two-sets-to-love lead, losing 3-6, 6-7, 6-4, 6-4, 6-4 to Jo-Wilfried Tsonga Wednesday in the Wimbledon quarterfinals. This is not going to be easy to come back from. A great tennis player relies on his endless fight, his self-motivation. A champion thinks he’s going to win even if his opponent is playing out of his mind.